“Hosanna to the Son of David! ‘Blessed is He who comes in the name of the Lord!’ Hosanna in the highest!”. 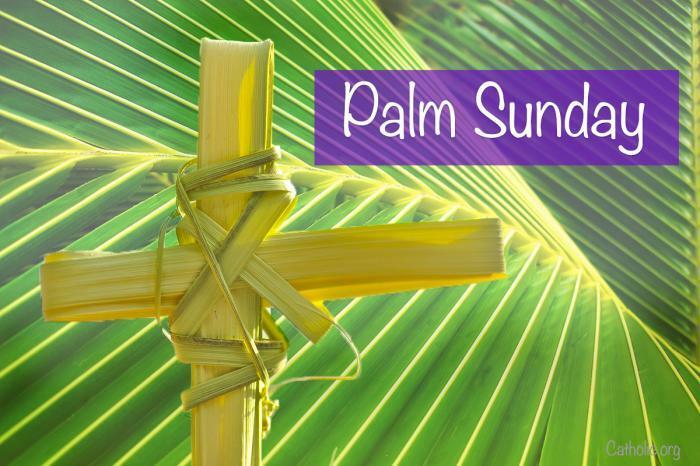 Palm Sunday is the beginning of “Passion Week”, which leads up to the death, crucifixion and resurrection of our Lord and Savior Jesus Christ. Jesus came to earth as God in the flesh. John 1:14 The Word became flesh and made his dwelling among us. We have seen his glory, the glory of the one and only Son, who came from the Father, full of grace and truth. Humanity could not atone for it’s own sin so in our place Jesus came to do just that for us. Yes, he came to die so that you, the entire world and I can live again with the Father in heaven for eternity. Jesus our King and Lord of Lord rode through the streets of Jerusalem on His way to that old “Ruggard Cross” on a hill far away called “Calvary Hill” over 2k years go to give His life as a ransom for the penalty of sin we committed against God. What have we done in return to show our gratitude to the Father in what He did in sending His son to die for our sins? Have we accept God’s free Gift of eternal life by faith through Christ Jesus and if not, why not? Hosanna, Hosanna! The cry of those who are longing for a Savior, redemption and peace. An urgent plea for help and a deep longing for something more. The quench of a thirsty soul can only be watered by the Savior’s blood. Hosanna, Hosanna in the highest! I Do not own any pictures or video on this blog site nor do I claim ownership of them. Thank you for your subscription! God Bless! My famous Banana Nut Bread!